Whether you live in an area where your climate plays a part in the reason for the car you drive, or maybe it’s the space that your family requires that is the main component. Regardless of what it is, no one can argue that safety plays a big part. Today’s technologies in manufacturing along with strict regulations have ensured that crossover SUVs are some of the safest vehicles in the market. Coupled with brand reliability and dependability, these five crossover SUVs provide the best in what you’re looking for in a used vehicle from Lexington used car dealers. The Kia Sorento offers if nothing else, options. Available in 11 trims ranging from Base FWD to the top trim level, SX V6 AWD. Starting at $21,195 and moving up to $34,095 for top trim, the range of options and level of trim you desire is for you to decide. Coming standard with an automatic transmission, the 4 cylinder engine gets an impressive combined EPA rating 24 mpg while the 3.5L V6 gets a combined EPA rating of 21 mpg. 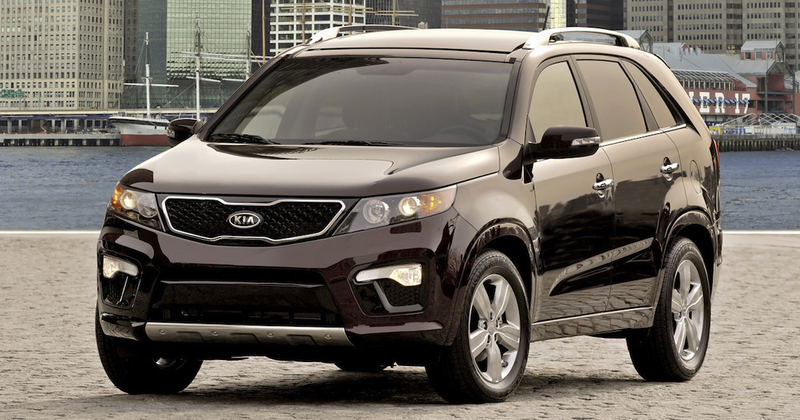 Coming equipped with 4-wheel anti-lock brakes, driveline traction control and electronic stability, side seat mounted airbags, overhead airbags in first and second row along with airbag occupancy sensor, the safety on the Sorento is paramount. Pricing for a 2011 Kia Sorento will be anywhere between $14,000 and $20,000 depending on mileage. Having received a full update this year including refreshes on interior and exterior styling, updated interface and safety features, the Traverse is going to offer a one stop shop. If you’re coveting that third row the Traverse has made extra room to allow it. Coming standard on the 2013 Traverse are a multitude of updated safety features. Four-wheel anti-lock disc brakes, traction and stability control, front seat and full length side curtain airbags for all three rows. According to government crash tests, the Travers earned top star rating for overall performance. The 2013 also rated top in the IIHS crash tests. Passengers will enjoy the extra head and legroom that has been afforded in the updated Traverse. All seats folded provide a total of 116.3 cubic feet of cargo space. While only available in a six-speed transmission, you do have your choice of front or all-wheel-drive. An EPA rating combined of 19 mpg in FWD or 23 mpg in AWD offer best in class numbers. Given its updates and current model and Chevy dependability, the Traverse will be a bit higher around $25-$33,000. New to the Chevy Equinox for the 2012 year is a forward collision alert and lane-departure warning systems. Higher trims will also enjoy a rearview camera as standard equipment. Extra rear passenger room is one of its strengths this year as it’s grown in length, which will make all those included in the drive equally happy. As a larger crossover SUV, it delivers a stable, quality drive. The 2012 comes standard with a host of excellent safety features including traction and stability control, anti-lock brakes, front seat and side curtain airbags. OnStar is also a new standard and excellent addition to the Chevy family. Rearview camera is standard on all trims except for the base. It received top scores from government safety tests including IIHS. Reclining rear seats with extra legroom offer the best seats in the house and when fold down reveal 63.7 cubic feet of cargo space. Available in either a 4 cylinder or V6, the V6 is optimal for producing more power and reaching higher fuel economy numbers. The 2012 Equinox is available in price ranging from $13 – $28,000 depending on mileage and trim level. Though the updates for this 2010 model were a bit on the conservative side and ended up adding weight to this RX, the drive quality is more surprisingly more sporty and passengers enjoy the extra room that was given. An increase in width, bigger wheels and brakes and additional airbags, sharpened steering and revamped suspension make the updates successful for those who know what they’re looking for in a crossover SUV. The 2010 Lexus 350 RX seats five passengers comfortably, but lacks the third row seating as a midsize compact SUV. A combined EPA rating of 21 mpgs is still competitive for its segment given the weight gain. Offering a variety of packages all to enhance your level trim, including the Premium, Comfort, Luxury or Navigation packages, there is inevitably be the right package for your family. Lexus has been championing crossover SUV since their arrival on the scene. A later model year is going to guarantee a lower price while ensuring premium quality in safety without sacrificing luxury. Considering mileage, you could be looking between $15-$26,000. As a winner in the small segment of crossovers, the 2013 Ford Escape was fully updated this model year, contributing to its many accolades. While this crossover is also missing the famed third row seating, it was enhanced with additional width and length to its frame allowing more head and legroom for passengers, so should you be a family of three, four or five, there still is ample room for you needs. Cargo space behind the rear seats is an ample 34.3 cubic ft and opens up to 68.1 with the seats folded. An excellent addition to the 2013 Ford Escape is the hands free liftgate. As long as the key fob is detected within range of the vehicle, a wave in front of the rear bumper will initiate the opening of the back door. Especially handy when hands are full with everyday items. With front wheel and all-wheel drive options available, as well as an EcoBoost 4 cylinder or V6, which delivers terrific power, there is also a turbocharged inline four that pumps out 270 horsepower. 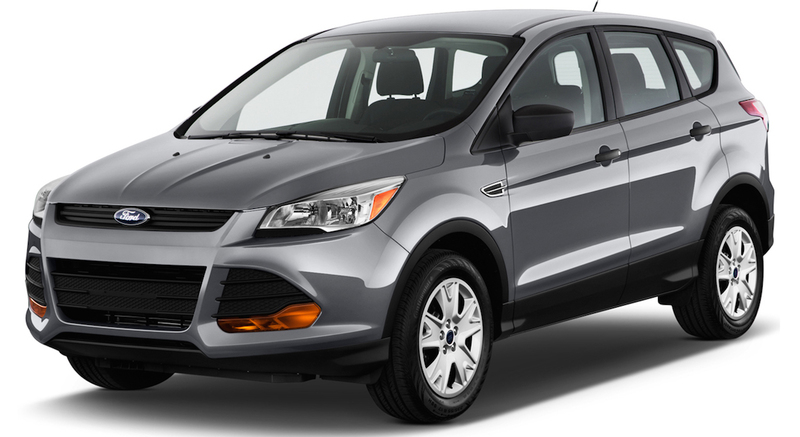 EPA ratings for the turbocharged Ford Escape are quite impressive delivering combined 33 mpgs. The reviews for the 2013 model year are decidedly better than its previous years and even than it’s competition for the same year. Paying for quality and comfort will cost around the $20K mark.